What a unique idea for a workshop...learn about making a zine...and contribute to creating one on the day...in the form of a map/guide all the best kept secrets about where you live. Otherwise known as Bizoo's 3550 CULT-ure Map Zine Workshop hosted by Jess at View Point Handmade Gallery. Add to this the drawcard of getting to play with all the supplies that Jeremy (the creator) and Elouise (online zine store owner and Bizoo book contributor) bring with them for making your own part of the zine. We're talking vintage typewriters and label makers and stamps...to be honest my curiosity got the better of me as soon as typewriters were mentioned....love them. Sadly I didn't get to spend the day with everyone :( but I dropped in to take some photos as the zine was starting to take shape in the afternoon...and a lot of work by some very creative peeps (including Bryley from I Heart Bendigo and Kelly from The Tea Children) has gone into this indie guide to our city. If you're interested in checking out the finished product, there is a launch tomorrow night at View Point; of the zine that was created today & the Bizoo book (collection of zine contributions from similar workshops all around Australia). 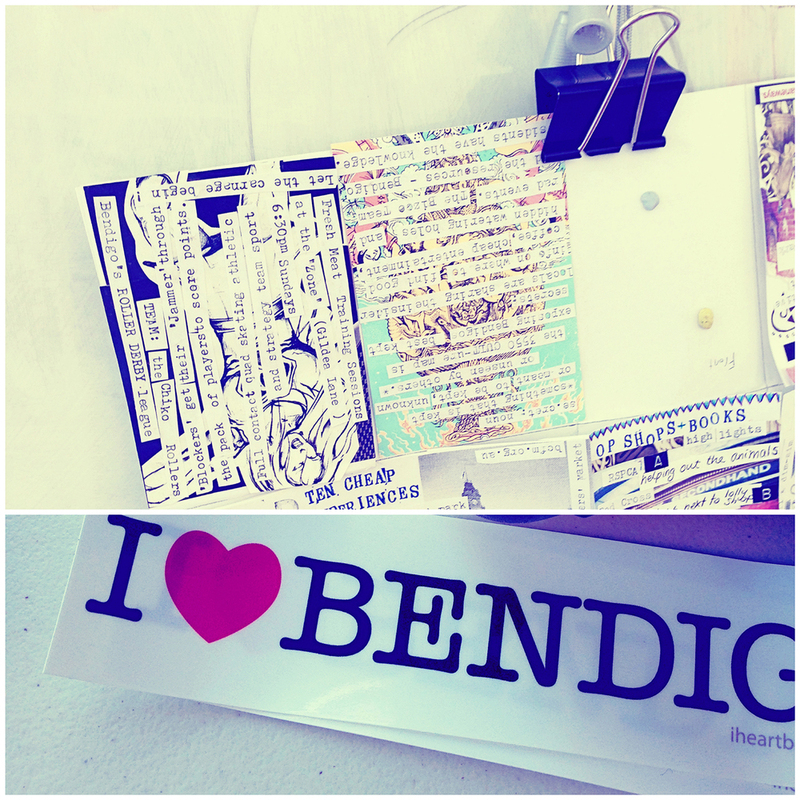 If you can't make it, drop in and grab a copy of the local zine from View Point Handmade Gallery....13 View Point Bendigo.